The Rheinische Landesmuseum Trier is an archaeological museum in Trier, Germany. The collection stretches from prehistory through the Roman period, the Middle Ages to the Baroque era with a strong emphasis on the Roman past of Augusta Treverorum, Germany's oldest city. Its collections of (local) Roman sculptures, Roman mosaics and frescos are among the best in Germany (along with those of the Römisch-Germanisches Museum in Cologne, the Rheinisches Landesmuseum Bonn and the Römisch-Germanisches Zentralmuseum in Mainz). The museum was founded in 1877 as the Provincial Museum of the Prussian Rhine Province (Provinzialmuseum der preußischen Rheinprovinz), of which the Rheinisches Landesmuseum Bonn was also part. The first director was the archaeologist Felix Hettner (1877–1902). In 1885–89 a proper museum building was built at the edge of the palace garden of the Electoral Palace, just outside the Roman wall. The architect of the building, rectangular and of red sandstone, was Clemens Guinbert, Landbaurat from Düsseldorf. Guinbert also built the museum in Bonn. 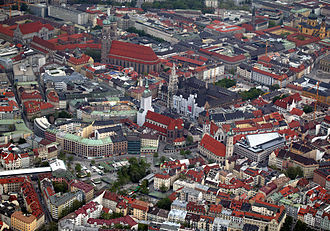 In 1904 the building was enlarged with three wings after a design by Carl Hocheder from Munich. In 1925–26 Hocheder's south wing was replaced by a new office wing. 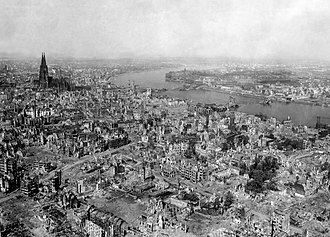 In 1945 around 80% of the building was destroyed by bombs. The rebuilding campaign was led by Zahn and was finished in 1958. It left the museum architecturally as a 'watered-down' version of the original designs. In the 1980s a new section was added by the architects Klaus Gauger and Gerhard Dürr from Neustadt an der Weinstraße. Since 2008 the museum has been managed by the department of Cultural Heritage of the Bundesland Rhineland-Palatinate (Generaldirektion Kulturelles Erbe Rheinland-Pfalz). From the inception of the museum in 1877, it has been active in the field of archaeological excavations and research. Many of the artifacts in the museum's collection have been excavated by the museum. The radius of its scientific research is the city of Trier and its wider environs, which includes over 10,000 archaeological sites that are already known to exist. The museum publishes two scientific magazines. Since 2006, the Dr. Heinz Cüpper Award is presented, named after a former director. The collection consists of artifacts from the Stone Age up to the end of the Ancien Régime, a period of around 200.000 years. Often, the temporary exhibitions will draw on the museum's forte: the Roman era. A multimedia presentation, "In the Realm of Shadows" (Im Reich der Schatten), takes place in the department of Roman archaeology twice a day. The show attempts to bring back to life the 'dead' objects in the collection, for instance by projecting the original polychrome onto the sculptures. 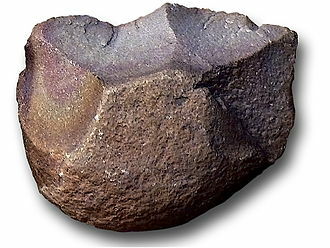 In this section some of the oldest tools made by humans in the area can be seen. A highlight is the Trassem gold hoard of around 1600 BC. Many archaeological finds date from the Celtic era, including weapons and jewellery. A scale model explains the complicated structure of a Celtic defence wall (Murus Gallicus). Roman sculpture takes a prominent place in the collection. A polychromed copy of the 30-meter tall Igel Column (Igeler Säule) from a nearby village fills the museum's courtyard. One of the larger rooms is entirely dedicated to a collection of sculpted grave monuments from Neumagen-Dhron (Noviomagus Treverorum), a Roman army base on the Moselle, a couple of miles downstream of Trier. Among the imposing grave towers it is easy to overlook the "Neumagen Wine Ship", probably a funeral monument of a wine merchant. Many statues and reliefs originate from the city of Trier, for instance from the Imperial Baths, the Barbara Baths, or the Altbachthal tempel complex. The museum owns several reconstructed frescos, either from town houses or public buildings in Augusta Treverorum, or from villae rusticae in the vicinity. The mosaics collection is considered the most extensive north of the Alps. One of the largest is the Monnus Mosaic from the 3rd century, with symbols of the months of the year. The Polydus mosaic from a Trier town house contains a depiction of a quadriga with, above it, the name Polydus. The staggering number of Roman finds from Augusta Treverorum is an indication of the town's importance during this era. For a while Trier was the northern capital of the Empire. A large scale model rightfully takes up a central place in the exhibition dedicated to Roman Trier. There are also scale models of individual buildings, some of which still exist. 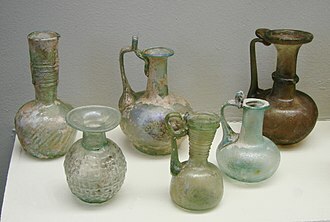 The museum has a fine collection of Roman glass. A cage cup from Piesport, found in a grave in Trier, underlines the craftsmanship. The importance of Roman Trier became once more apparent in 1993 when a hoard of thousands of coins was found in the city centre, the largest Roman gold hoard ever found (with 2650 aurei weighing ca. 18,5 kg). The treasure is kept in a separate coin cabinet, containing one of Germany's largest numismatic collections. After the Romans departed, Trier remained an important (Christian) centre in the Frankish Empire, largely due to the continuous presence of the bishops. Proof to this are two gilded disc fibulae and other grave goods from the Merovingian and Carolingian era. Some architectural fragments date from the same period. Small but noteworthy is the collection Early Christian gravestones from the 5th, 6th and 7th century. At the end of the 10th century Trier was a centre of the Ottonian Renaissance. The main products of the so-called Egbert workshops are now in the Treasury of Trier Cathedral and in museums elsewhere in Germany. The Rheinisches Landesmuseum has some stone sculptures from this period but they do not attain to the same level as the metalwork and manuscript illumination from the Egbert workshops. A forte in the collection however is Romanesque sculpture of the 11th and 12th century. Many capitals and reliefs originate from demolished monasteries and churches in Trier, as from the once important Abbeys of St. Matthias, St. Paulin and St. Maximin. The museum possesses several statues of Jesus, the Virgin Mary and various saints from the Late Gothic period, as well as some stained-glass windows from Trier Cathedral. A scale model of Porta Nigra/St. Simeon's as it appeared around 1800, clarifies how some Roman monuments in Trier survived as churches. A magnificent triumphal arch is a reconstruction of the funeral monument that Christoph von Rheineck had erected in the Liebfrauenkirche in 1535. It is the earliest Renaissance monument in Germany. 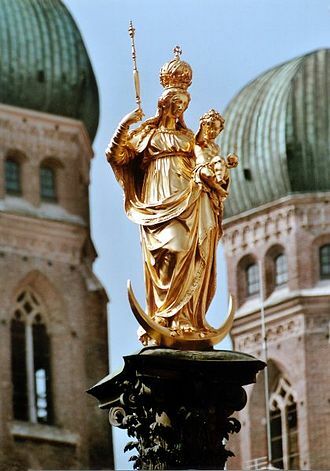 The original sculptures are kept in the Museum am Dom. A much more humble 17th or 18th-century relief of the three first bishops of Trier from the former abbey of St. Matthias is accompanied by a pious poem in Latin and German. Other objects from this period testify of the wealth at the Trier episcopal and electoral court. ^ Generaldirektion Kulturelles Erbe Rheinland-Pfalz on website gdke-rlp.de. ^ Rheinisches Landesmuseum – Baubeschreibung on website kulturdb.de. ^ Arcaeological preservation on website landesmuseum-trier.de. ^ a b c d e Die Dauerausstellung on website landesmuseum-trier.de. ^ Review: Past exhibitions on website landesmuseum-trier.de. In archaeology, excavation is the exposure and recording of archaeological remains. An excavation site or dig is a site being studied, such a site excavation concerns itself with a specific archaeological site or a connected series of sites, and may be conducted over as little as several weeks to over a number of years. Numerous specialized techniques each with its features are used. Resources and other practical issues do not allow archaeologists to carry out excavations whenever and wherever they choose and these constraints mean many known sites have been deliberately left unexcavated. This is with the intention of preserving them for generations as well as recognising the role they serve in the communities that live near them. Excavation involves the recovery of types of data from a site. These data include artifacts, ecofacts and, most importantly, data from the excavation should suffice to reconstruct the site completely in three-dimensional space. The presence or absence of remains can often be suggested by remote sensing. Indeed, grosser information about the development of the site may be drawn from this work, the history of excavation began with a crude search for treasure and for artifacts which fell into the category of curio. These curios were the subject of interest of antiquarians and it was appreciated that digging on a site destroyed the evidence of earlier peoples lives which it had contained. Once the curio had been removed from its context, most of the information it held was lost and it was from this realization that antiquarianism began to be replaced by archaeology, a process still being perfected. Archaeological material tends to accumulate in events, a gardener swept a pile of soil into a corner, laid a gravel path or planted a bush in a hole. A builder built a wall and back-filled the trench, years later, someone built a pig sty onto it and drained the pig sty into the nettle patch. Later still, the original wall blew over and so on, each event, which may have taken a short or long time to accomplish, leaves a context. The Merovingians were a Salian Frankish dynasty that ruled the Franks for nearly 300 years in a region known as Francia in Latin, beginning in the middle of the 5th century. Their territory largely corresponded to ancient Gaul as well as the Roman provinces of Raetia, Germania Superior and the southern part of Germania. The Merovingian dynasty was founded by Childeric I, the son of Merovech, leader of the Salian Franks, after the death of Clovis there were frequent clashes between different branches of the family, but when threatened by its neighbours the Merovingians presented a strong united front. During the final century of Merovingian rule, the kings were increasingly pushed into a ceremonial role, the Merovingian rule ended in March 752 when Pope Zachary formally deposed Childeric III. Zacharys successor, Pope Stephen II, confirmed and anointed Pepin the Short in 754, the Merovingian ruling family were sometimes referred to as the long-haired kings by contemporaries, as their long hair distinguished them among the Franks, who commonly cut their hair short. The Merovingian dynasty owes its name to the semi-legendary Merovech, leader of the Salian Franks, the victories of his son Childeric I against the Visigoths and Alemanni established the basis of Merovingian land. Childerics son Clovis I went on to unite most of Gaul north of the Loire under his control around 486, when he defeated Syagrius, the Roman ruler in those parts. He won the Battle of Tolbiac against the Alemanni in 496, at time, according to Gregory of Tours. 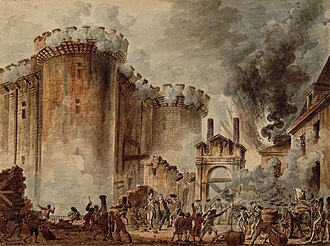 He subsequently went on to defeat the Visigothic kingdom of Toulouse in the Battle of Vouillé in 507. After Cloviss death, his kingdom was partitioned among his four sons, leadership among the early Merovingians was probably based on mythical descent and alleged divine patronage, expressed in terms of continued military success. In 1906 the British Egyptologist Flinders Petrie suggested that the Marvingi recorded by Ptolemy as living near the Rhine were the ancestors of the Merovingian dynasty, upon Cloviss death in 511, the Merovingian kingdom included all of Gaul except Burgundy and all of Germania magna except Saxony. To the outside, the kingdom, even when divided under different kings, maintained unity, after the fall of the Ostrogoths, the Franks conquered Provence. After this their borders with Italy and Visigothic Septimania remained fairly stable, the kingdom was divided among Cloviss sons and among his grandsons and frequently saw war between the different kings, who quickly allied among themselves and against one another. The death of one king created conflict between the brothers and the deceaseds sons, with differing outcomes. Later, conflicts were intensified by the personal feud around Brunhilda, yearly warfare often did not constitute general devastation but took on an almost ritual character, with established rules and norms. Eventually, Clotaire II in 613 reunited the entire Frankish realm under one ruler, divisions produced the stable units of Austrasia, Neustria and Aquitania. 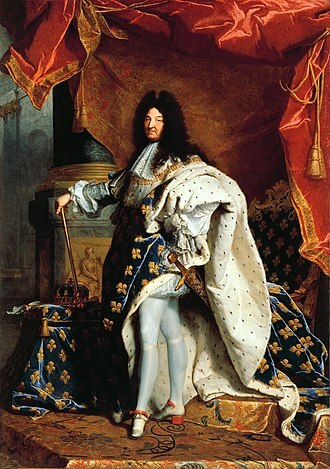 The frequent wars had weakened royal power, while the aristocracy had made great gains and these concessions saw the very considerable power of the king parcelled out and retained by leading comites and duces. Diatreta consist of an inner beaker and an outer cage or shell of decoration that stands out from the body of the cup, to which it is attached by short stems or shanks. About fifty cups or, more often, fragments have survived, most have a cage with circular geometrical patterns, often with an inscription, or phrase in letters above the reticulated area as well. Some have a flange, or zone of projecting open-cut moulding, above the lower patterns, even rarer are examples with scenes with figures, of which the Lycurgus Cup in the British Museum is the only complete example to survive, though there are other fragments. In this the rest of the cage is made up of a vine that entraps Lycurgus, all were clearly difficult to make, and no doubt very expensive, like the other spectacular type of luxury Roman glass, cameo glass objects like the Portland Vase. Both the technology used to them and the way they were used are still the subject of some debate among specialists. They appear to have made of similar glasses, and there is evidence that some late vessels may have been combinations of cameo. The main division is between cups with figures, whether or not accompanied by reticulated patterns, and those without, some have inscriptions and flanges with ovolo decoration, others do not. Most have a narrow shape, but others a wider bowl-like one. For example, it is claimed that the smooth joins on the Munich cup show the fusion of the cage to the main cup and these smooth joins show the Cologne and Pljevlja cups above. However this remains controversial, and a cup found in Corinth in the 1960s is said to show no evidence of joints where the cage meets the main cup when examined under a microscope. The fragment shows a pattern based on circles, that is similar to the glass diatreta, suggesting that the same style may have been used in silver plate. Some examples add difficulty to the process by using different colours on the cage, like the Milan and Cologne cups. For the special technology of glass, which changes colour when light passes through it, see the article on the best example. The function of cage cups is debated, the convivial dedications found on several examples are paralleled on the bases on many Roman gold glass cups found mostly in Rome. A mosaic is a piece of art or image made from the assemblage of small pieces of colored glass, stone, or other materials. It is often used in art or as interior decoration. Most mosaics are made of small, roughly square, pieces of stone or glass of different colors, especially floor mosaics, are made of small rounded pieces of stone, and called pebble mosaics. Others are made of other materials, mosaics have a long history, starting in Mesopotamia in the 3rd millennium BC. Pebble mosaics were made in Tiryns in Mycenean Greece, mosaics with patterns and pictures became widespread in classical times, Early Christian basilicas from the 4th century onwards were decorated with wall and ceiling mosaics. 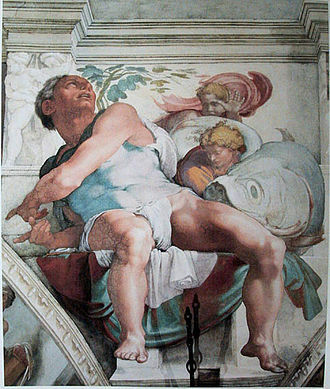 Mosaic fell out of fashion in the Renaissance, though artists like Raphael continued to practise the old technique and Byzantine influence led Jews to decorate 5th and 6th century synagogues in the Middle East with floor mosaics. Mosaic was widely used on buildings and palaces in early Islamic art, including Islams first great religious building, the Dome of the Rock in Jerusalem. Mosaic went out of fashion in the Islamic world after the 8th century, modern mosaics are made by professional artists, street artists, and as a popular craft. Many materials other than stone and ceramic tesserae may be employed, including shells, glass. The earliest known examples of made of different materials were found at a temple building in Abra, Mesopotamia. They consist of pieces of colored stones and ivory, excavations at Susa and Chogha Zanbil show evidence of the first glazed tiles, dating from around 1500 BC. 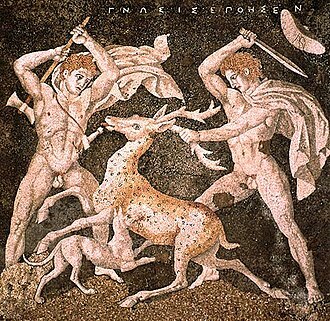 However, mosaic patterns were not used until the times of Sassanid Empire, mythological subjects, or scenes of hunting or other pursuits of the wealthy, were popular as the centrepieces of a larger geometric design, with strongly emphasized borders. Pliny the Elder mentions the artist Sosus of Pergamon by name, describing his mosaics of the left on a floor after a feast. Both of these themes were widely copied, most recorded names of Roman mosaic workers are Greek, suggesting they dominated high quality work across the empire, no doubt most ordinary craftsmen were slaves. Polychrome is the practice of decorating architectural elements, etc. in a variety of colors. 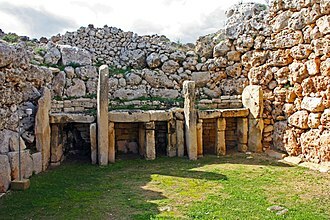 The term is used to refer to certain styles of architecture, some very early polychrome pottery has been excavated on Minoan Crete such as at the Bronze Age site of Phaistos. In ancient Greece sculptures were painted in strong colors, the paint was frequently limited to parts depicting clothing, and so on, with the skin left in the natural color of the stone. But it could cover sculptures in their totality, the painting of Greek sculpture should not merely be seen as an enhancement of their sculpted form but has the characteristics of a distinct style of art. On high-quality bronzes like the Riace bronzes, an early example of polychrome decoration was found in the Parthenon atop the Acropolis of Athens. By the time European antiquarianism took off in the 18th century, however, some classicists such as Jacques Ignace Hittorff noticed traces of paint on classical architecture and this slowly came to be accepted. An example of classical Greek architectural polychrome may be seen in the full size replica of the Parthenon exhibited in Nashville, throughout medieval Europe religious sculptures in wood and other media were often brightly painted or colored, as were the interiors of church buildings. The exteriors of churches were painted as well, but little has survived, exposure to the elements and changing tastes and religious approval over time acted against their preservation. With the arrival of European porcelain in the 18th century, brightly colored pottery figurines with a range of colors became very popular. Polychrome brickwork is a style of brickwork which emerged in the 1860s. It was often used to replicate the effect of quoining and to decorate around windows, early examples featured banding, with examples exhibiting complex diagonal, criss-cross, and step patterns, in some cases even writing using bricks. In the 1970s and 1980s, architects working with bold colors included Robert Venturi, Michael Graves, Polychrome building facades rose in popularity as a way of highlighting certain trim features in Victorian and Queen Anne architecture in the United States. A fibula is a brooch or pin for fastening garments. The fibula developed in a variety of shapes, but all were based on the safety-pin principle. Technically, the Latin term, refers to Roman brooches, unlike most modern brooches, fibulae were not only decorative, they originally served a practical function, to fasten clothing, such as cloaks. Fibulae replaced straight pins that were used to fasten clothing in the Neolithic period, in turn, fibulae were replaced as clothing fasteners by buttons in the Middle Ages. Their descendant, the safety pin, remains in use today. There are hundreds of different types of fibulae and they are usually divided into families that are based upon historical periods, and/or cultures. Fibulae are divided into classes that are based upon their general forms, lost fibulae, usually fragments, are frequently dug up by amateur coin and relic hunters using metal detectors. Most fibulae are made of bronze or iron, or both, some fibulae are made of precious metals such as silver or gold. Most fibulae are made of one or two pieces. Many fibulae are decorated with enamel, semi-precious stones, Fibulae were composed of four components, The body, pin and hinge. The body of a fibula is known as either the bow or the plate, a bow is generally long and narrow, and often arched. A plate is flat and wide, plates could be solid or openwork. The head is the end of the fibula with the spring or hinge, the foot is the end of the fibula where the pin closes. Depending on the type of fibula, and the culture in question, the pin that is used to fasten the clothing is either a continuation of the fibulas body or a separate piece attached to the body. The fibula is closed by connecting the end of the pin to a catch plate, the body and pin meet at either a spring or hinge. The earliest design is the spring which provides tension to the pin, the spring could be unilateral or bilateral. A unilateral spring winds around in one direction only, unilateral springs are the earliest type, first appearing around the 14th century BC. The study of Roman sculpture is complicated by its relation to Greek sculpture. Many examples of even the most famous Greek sculptures, such as the Apollo Belvedere, examples of Roman sculpture are abundantly preserved, in total contrast to Roman painting, which was very widely practiced but has almost all been lost. Latin and some Greek authors, particularly Pliny the Elder in Book 34 of his Natural History, describe statues, and a few of these descriptions match extant works. Most statues were actually far more lifelike and often brightly colored when originally created, early Roman art was influenced by the art of Greece and that of the neighbouring Etruscans, themselves greatly influenced by their Greek trading partners. An Etruscan speciality was near life size tomb effigies in terracotta, vast numbers of Greek statues were imported to Rome, whether as booty or the result of extortion or commerce, and temples were often decorated with re-used Greek works. A native Italian style can be seen in the monuments of prosperous middle-class Romans, which very often featured portrait busts. The Tomb of Eurysaces the Baker, a successful freedman has a frieze that is a large example of the plebeian style. For a much wider section of the population, moulded relief decoration of vessels and small figurines were produced in great quantity. Even the most important imperial monuments now showed stumpy, large-eyed figures in a harsh frontal style, the hallmark of the style wherever it appears consists of an emphatic hardness and angularity — in short, an almost complete rejection of the classical tradition. During the Imperial era, more idealized statues of Roman emperors became ubiquitous, tombstones of even the modestly rich middle class sometimes exhibit portraits of the otherwise unknown deceased carved in relief. Among the many museums with examples of Roman portrait sculpture, the collections of the Metropolitan Museum of Art in New York, religious art was a major form of Roman sculpture. A central feature of a Roman temple was the statue of the deity. Although images of deities were displayed in gardens and parks. A quadriga is a car or chariot drawn by four horses abreast. It was raced in the Ancient Olympic Games and other contests and it is represented in profile as the chariot of gods and heroes on Greek vases and in bas-relief. The quadriga was adopted in ancient Roman chariot racing, quadrigas were emblems of triumph and Fame often are depicted as the triumphant woman driving it. In classical mythology, the quadriga is the chariot of the gods, Apollo was depicted driving his quadriga across the heavens, delivering daylight, the word quadriga may refer to the chariot alone, the four horses without it, or the combination. Originally erected in the Hippodrome of Constantinople, possibly on a triumphal arch, venetian Crusaders looted these sculptures in the Fourth Crusade and placed them on the terrace of St Marks Basilica. In 1797, Napoleon carried the quadriga off to Paris, due to the effects of atmospheric pollution, the original quadriga was retired to a museum and replaced with a replica in the 1980s. Located atop the Brandenburg Gate in Berlin, Germany, it was seized by Napoleon during his occupation of Berlin in 1806 and it was returned to Berlin by Field Marshal Gebhard von Blücher in 1814. Her olive wreath was subsequently supplemented with an Iron Cross, the iron cross was restored after German reunification in 1990. C.1815 - The Carrousel quadriga is situated atop the Arc de Triomphe du Carrousel in Paris, the arch itself was built to commemorate the victories of Napoleon, but the quadriga was sculpted by Baron François Joseph Bosio to commemorate the Restoration of the Bourbons. The Restoration is represented by an allegorical goddess driving a quadriga, two winged Victory figures, each leading a horse, trumpet Columbias arrival. The sculptor was Frederick William MacMonnies and it was sculpted by Daniel Chester French and Edward Clark Potter. 1911-35 - The Monument to Vittorio Emanuele II in Rome, Italy features two statues of goddess Victoria riding on quadrigas,1912 - The Wellington Arch Quadriga is situated atop the Wellington Arch in London, England. Allegorical scene from the Augustan Ara Pacis, 13 BCE, a highpoint of the state Greco-Roman style. Arch of Constantine, 315: Hadrian lion-hunting (left) and sacrificing (right), above a section of the Constantinian frieze, showing the contrast of styles. Marble bust of Caligula, Roman emperor AD 37–41, with traces of original paint beside a plaster replica trying to recreate the polychrome traditions of ancient sculpture. Exhibition in Ny Carlsberg Glyptotek in Copenhagen, Denmark. Stratigraphy in the excavation area in the Kerameikos Cemetery (Athens). Dioceses of France in 1789. One of the assistants of Sanson shows the head of Louis XVI. Reconstructed color scheme of the entablature on a Doric temple. Rippon Lea Estate, in Australia has polychrome brickwork patterns. Model of a Roman Villa Rustica. 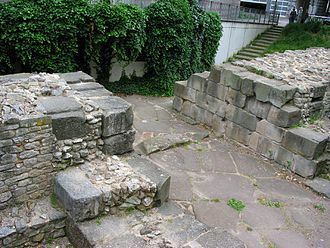 The remains of villas of this type have been found in the vicinity of Valjevo, Serbia. Irano-Roman floor mosaic detail from the palace of Shapur I at Bishapur. Reconstruction of a mosaic from the Eanna temple. A scale model of the Tower of London. This model can be found inside the tower. The political divisions of Gaul at the inception of Clovis's career (481). Note that only the Burgundian kingdom and the province of Septimania remained unconquered at his death (511). The division of Francia on Clovis's death (511). The kingdoms were not geographic unities because they were formed in an attempt to create equal-sized fiscs. The discrepancy in size reveals the concentration of Roman fiscal lands. The division of Gaul on Chlothar I's death (561). Though more geographically unified realms were created out of the second fourfold division of Francia, the complex division of Provence created many problems for the rulers of Burgundy and Austrasia. 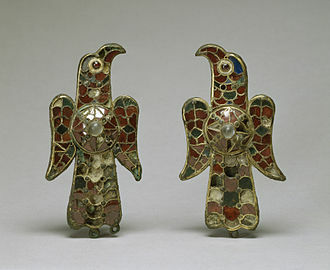 These eagle-shaped fibulae, dating from the 6th century were found at Tierra de Barros (Spain, then the Kingdom of the Visigoths) and are made of sheet gold over bronze. The Walters Art Museum. Signet ring of Childeric I. Monnaie de Paris. Frankish gold Tremissis, imitation of Byzantine Tremissis, mid-6th century. Coin of Chlothar II, 584–628. British Museum. Triens of Dagobert I and moneyer Romanos, Augaune, 629–639, gold 1.32g. Monnaie de Paris. Cologne cage cup from the 4th century; seen from above, the smooth joins of the cage to the cup are argued to distinguish them from the carving of the rim and the cage. The Lycurgus Cup, lit from behind, with a modern foot and rim. Model of murus gallicus at the oppidum of Bibracte, France. Artistic reconstruction of typical murus gallicus 100 BC.